Both my husband and I enjoy Burt's Bees lip balm. This summer we discovered the grapefruit flavored Burt's, which I would highly recommend. 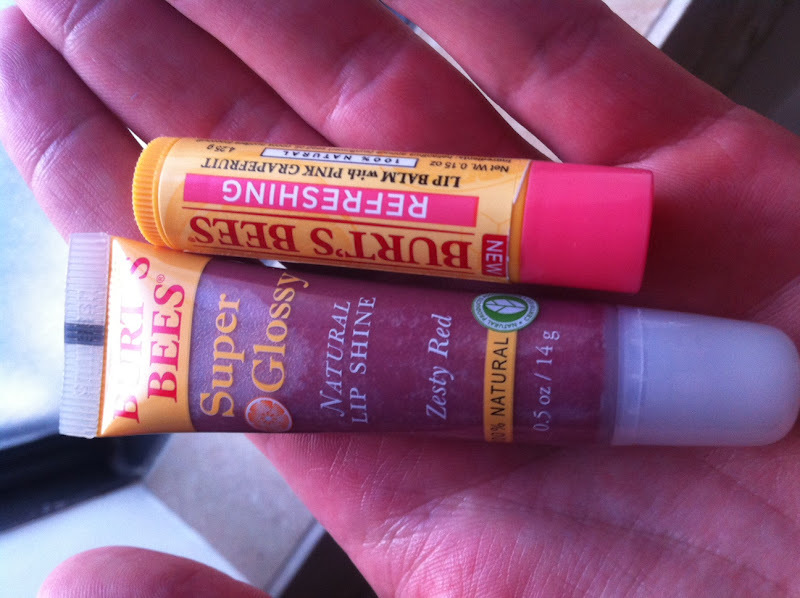 I also bought some Burt's super glossy lip shine in zesty red. My husband said I was buying lipstick. I disagreed. I put it on my lips and asked my husband if it looked natural? He informed me that nothing called "zesty red" would look natural. I disagree. My 2 year old niece, Paxten, was at our house asking for "lip-tick," which my brother thought was odd. My mother usually provides the lipstick to her granddaughters, and my mother was not around. Of course, my brother thought it was more odd when I handed Paxten some lipstick...oh, I mean lip shine.